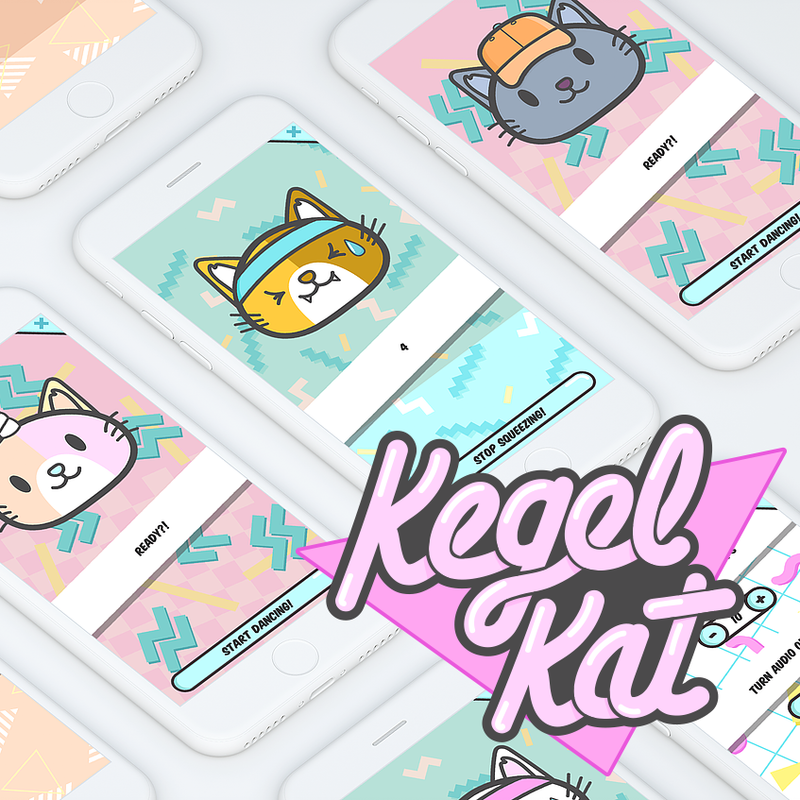 Emma Assin of Bitty Apps commissioned me to create illustrations for an upgrade to her app Kegel Kat. I designed four different cat characters, original background patterns, many accessories used to customize your cat, and a hand-lettered logo. As one of the only family-friendly kegel apps in the app store, we wanted to keep it bright, fun and approachable. The health & fitness element inspired me to give it a style inspired by 80’s workout video graphics. The app upgrade has been well received by devoted Kegel Kat fans!